Volunteer stylist Brandy Perkins braids a students hair as Councilman Carey Williams, sponsor of the event, watches. 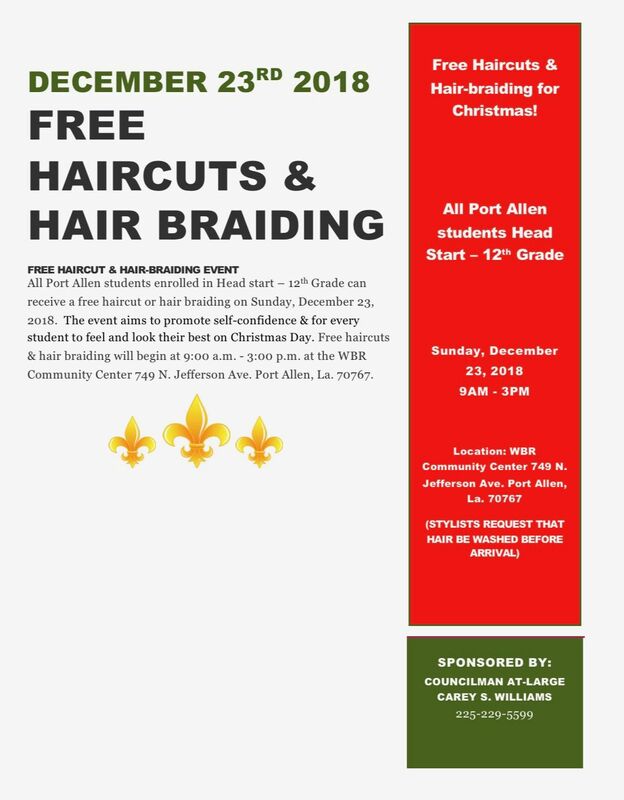 Port Allen students enrolled in Head Start through 12th grade may receive a free haircut or braiding on Sunday, Dec. 23. Port Allen City Councilman at-large Carey Williams hosts these events each Christmas and at the beginning of school. The event aims to promote self-confidence for every student to look and feel their best for the holidays. 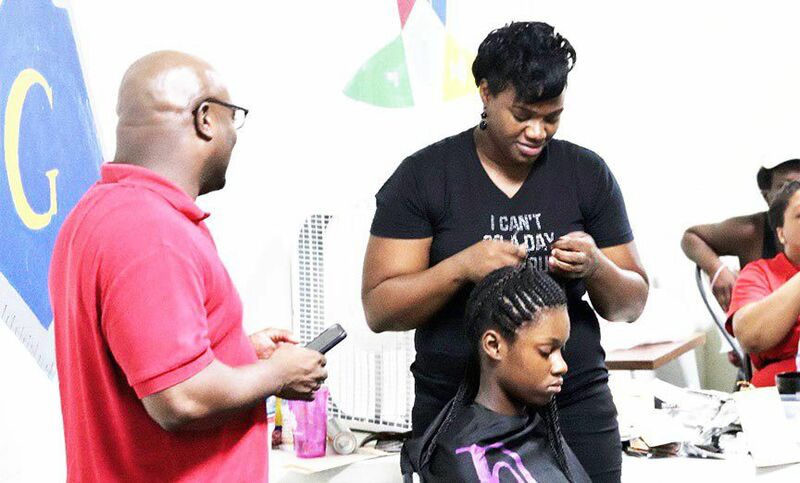 Free haircuts and braiding will be available from 9:00 a.m. until 3:00 p.m. at the West Baton Rouge Community Center at 739 N. Jefferson Ave. in Port Allen.